A roundtable of experts, scholars, activists on the current situation on the Korean peninsula today and efforts both inside Korea and in the U.S. to work towards peace. 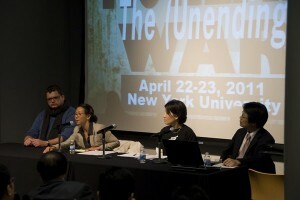 Moderator: Henry Em, East Asian Studies, NYU. This panel will be followed immediately by film screenings including Grandmother’s Flower.